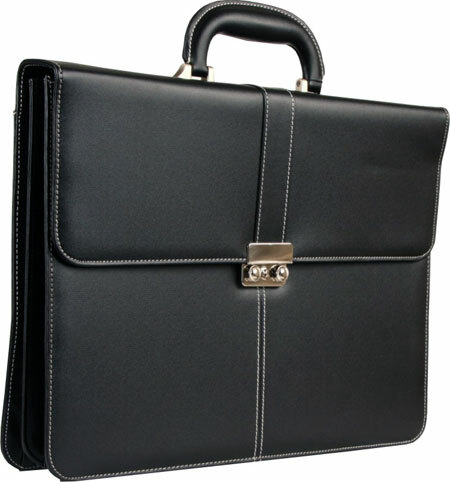 Quality leather-look zippered portfolio black. 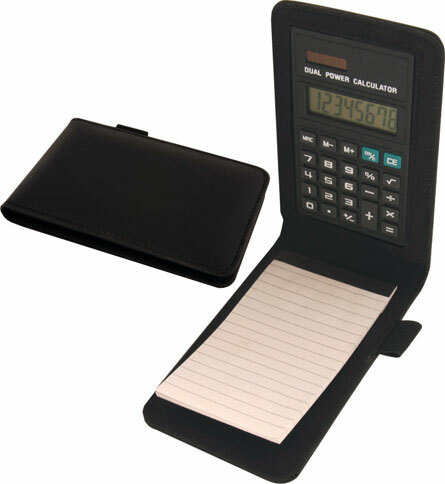 Includes, calculator, business card holder, rules A4 Memo Pad and pen slot. Multi Pocketed. 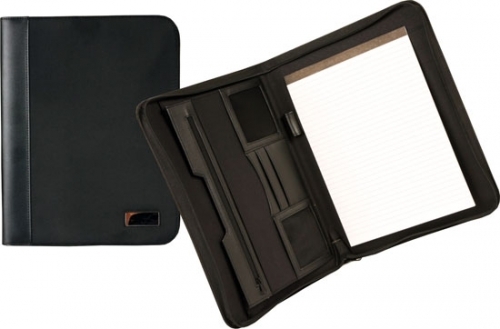 PVC Covered zip up A4 portfolio in black. 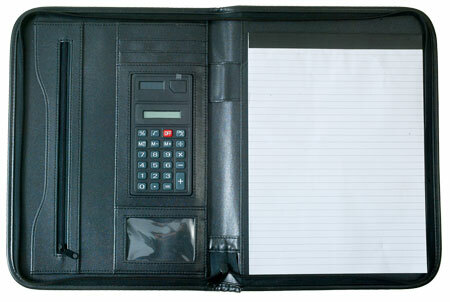 Includes pad, calculator, pockets and pen holder.